After a long interval, we are back with new Opera Mini modded for free Internet use in Airtel. All my previous mods have stopped working and now I'm getting a lot of requests from our valuable users to post a new working trick for Airtel. This is a special type of mod. This opera needs additional proxy settings other than usual mod. Also the previous Opera had some modifications in this version. So, you cant use previous mods anymore. For the proxy settings, S40 users can use a special type of file called .PROV file. Others need to specify it manually. For that, just read the instructions below. For those who use Nokia S40 devices ( for eg: Nokia C1,C2,Asha,3110,2700 etc.) They have a great advantage. There is a special type of file called .PROV file. This is a type of file which are supported by S40 phones only. It contains GPRS Configuration, Access point and Proxy settings. So, those who cannot set Proxy settings manually, can download the PROV file provided by us and install on the phone by sending via bluetooth or transferring by USB cable or any way. There is no difference between the PROV file and setting manually. Eventhough I will show you how to set it manually on S40. Note: This Proxy can be used for using with Opera Mini Mod provided with Hackingpalace only. For others, it wont work. Now, After setting the Access point, Proxy etc. 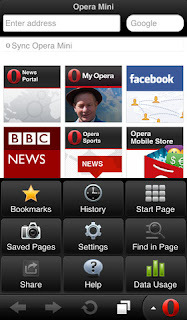 now you can download Opera Mini 7 Airtel mod by Hackingpalace. 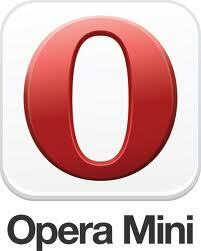 Now, After downloading the Opera Mini, transfer it to your Mobile and install it. When using this, don't forget to use the Settings above. Even if you have GPRS offer activated on your Device, you can use this trick. Thus, the data balance will not be deducted. This is very much useful in 3G to save data. New working UC Browser, Nimbuzz, Ebuddy etc. modded apps will be uploaded soon. Also I'm working for Idea and Vodafone tricks on my Lab. Stay tuned.. If you have any doubts or problems, just comment below. I will try to help you. Update (2/5/13): There was an error in the proxy. Now I have fixed it. Hi ,....im using nokia c3-01 (touch n type).. Does this trick work on uc browser... I have alredy dowlode opera mini 7.1 (from mini.opera.com)...will it work on this app...or shud i download your app only..pls help ..
no need of downloading any other app. just download the application provided here and follow the instructions carefully. Is there any working apps for idea ?